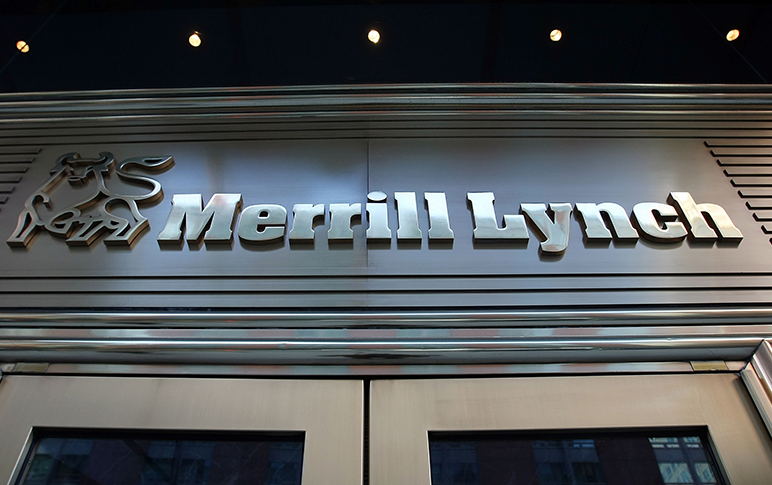 Merrill Lynch on Thursday told its army of brokers that it will not pay them on 3% of the revenue they produce each month in 2019, an attempt to curb compensation growth rates that have outpaced revenue growth for several consecutive years. To ease backlash from the most productive of its 14,800 financial advisors, the Bank of America-owned wealth management unit is capping the amount of fees and commissions ineligible for payout at $4,000 monthly, according to sources familiar with the plan. The cap would not help brokers generating less than about $133,000 a month—on pace for $1.6 million a year—but a $200,000-a-month producer would have her 3% penalty reduced by $2,000 because of it. A broker who generates $42,000 of monthly fees and commissions, a $500,000 annual pace, would lose credit for $1,260 of revenue and receive $505 less than currently in monthly pay at the 40% payout he qualifies for. The restraint will put Merrill brokers in the same position as those at competitors that withhold payment for certain fees and products, executives planned to tell brokers on a late afternoon conference call to discuss the firm’s 2019 compensation plan. More than 90% of advisors who have been growing their business and qualifying for bonus payouts would not have lost pay if the constraint had been in place this year, they said. The 2019 plan also raises the bar on the core part of Merrill’s incentive system for brokers, the “growth grid” it introduced at the beginning of 2018. The program rewards brokers for increasing customer households and assets and reduces their payout—the percentage of client revenue they collect—if their annual new-asset and new-household numbers decrease. Instead of having to sign up three new household accounts of $250,000 or more to avoid a payout cut of 100 basis points, the number will rise to four accounts next year, the sources said. In order to receive a 100-basis-point payout bonus, the new household total has to rise from five to six accounts. Merrill is making no changes in the net new assets and liabilities that brokers must add to avoid a payout penalty. Growth of 2.5% from the end of the previous year, to a maximum of $7.5 million, will keep 2019 payout flat. Growth of 5.0% generates another 100-basis-point jump, while payouts will fall by the same amount if the 2.5% target is missed. To mollify Merrill’s elite advisors who work primarily with multi-million-dollar accounts and complained about having to go down-market to meet the new-household bogey, Merrill has made a concession. New accounts with more than $2.5 million will count as more than one household, ranging from a credit of two accounts at the low end to as many four on an account above $25 million. Merrill is also adding a “high performer” award for what the people familiar with the plan admit are the small number of brokers who could potentially generate $150 million of new money or attract 30 new households in 2019. They would receive an extra 100 basis points on their standard payout. Merrill’s core payout grid, which pays brokers from 34% to 49% of the fees and commissions they generate, will be tweaked upward to a maximum of 50% for brokers who generate at least $10 million of revenue. Even massive organizations such as Merrill have fewer than 20 producers in that category, according to industry officials. Like rivals such as Morgan Stanley that are striving to retain their most experienced and productive brokers, Merrill is upgrading a “length-of-service” bonus in 2019. Those with 10 or more years at the firm and producing at least $750,000 of revenue will be awarded restricted BofA shares every five years. The stock vests over three years, down from five years currently. At the high end, qualifying advisers with 20 years of service and with average annual production of $5 million over five years would get stock equal to 15% of their production. The new plan also pays tribute to brokers and sales associates across the productivity spectrum who refer their investment clients to Bank of America, get them to move cash into bank accounts and use financial planning and online and digital tools that the firm believes make clients more loyal to the firm. Merrill will credit brokers’ production total with .14% of customers’ BofA checking and savings account balances if more than 40% of their clients actively use at least three of the following: trust accounts, loans, checking accounts and Merrill’s fee-based investment advisory platform. The “client engagement award” currently in place credits brokers with .04% of their clients’ bank account balances. Client associates also will qualify for $200 for each checking account they help open, if the accounts remain for at least seven months and meet minimum funding and activity levels. The minimum standards are aimed at preventing creation of phony accounts, as happened at Wells Fargo & Co., according to people familiar with Merrill’s plan. Morgan Stanley a few years ago ended a program that paid $50 to sales associates for each client they signed up for an American Express credit card. Merrill plans to mandate the 40% “client engagement” metric as a requirement in 2020 for advisors who want to qualify for team compensation grids, said a person familiar with its plans. All brokers on such a grid receive the same payout as the highest-producing member of their team. Felt like I just got taken advantage of ..can’t belive I just got a 20,000 pay cut ..after following the herd off the cliff.. I am confused how does revenue growth relate to being paid on production? This is the jelly of the month club a gift that keeps on giving. How can the authors of this article write: “in an attempt to curb compensation growth rates that have outpaced revenue growth for several consecutive years“ without acknowledging this is nothing but theft? Baffling reporting. That phrase was plucked directly from the compensatin broadcast. Also of note, CA’s are expected to not only open, but “service” BofA chacking accounts. Word for word from the broadcast. Toasters anyone? Wonder if andy also took a 3% pay cut capped at 4k per month? All advisors have choices… if you think taking an upfront check while making a lateral move to another B/D solves your problems better talk with someone who’s done it and ask what’s left after the term of their deal (having done it I’ll be generous and say 10%). The other option is become an Indie RIA, keep 80% of cash flow, pay much lower taxes and own 100% of your enterprise equity and of course control who your client is and what he owns… I’ve heard 100 excuses as to why it’s “not for me” but frankly they’re all hollow. (I’m being polite). Work for your client, not some huge wirehouse that does this kind of thing to you! > Reply to Paul S.
While independence is a great choice for some, it’s not for everyone. I strongly disagree that “upfront checks” get whittled to 10% over the course of the deal. If one blows it on houses, boats, cars, and poor trading, then yes it probably does. If the transition money is handled like an adult or how you’d coach a client to handle a pre tax lump sum, then there is no reason to not save a good chunk of it. Great commentary, Paul. They won’t all listen, but they should. Unreal. ML is the absolute worst in managing a comp plan. That annual changes and all the different hoops you have to jump through would drive me crazy. By the way, you probably covered your overhead at 25%. Squeezing the cash cow, advisors every chance they get. I am so happy i don’t have to deal with these crooks anymore. Sad. It is like Pinocchio and his buddies on Pleasure Island. While they smoke cigars, drink beer and play pool, they are slowly turning into donkeys. Now the speed of the transformation has been increased. Forced into managed IRA accounts with lower revenue to BAC. Bring in new accounts to Grow and reduce mutual fund pay to play, all which reduced revenue. Then get whomped up side the head with a pay cut. Here is an idea Andy you and the “overhead” of management take a 10% pay cut and let those who make the money earn more. Oh, but of you stay here and for every 5 years you remain we will give you crap stock that vests over 1000 years YEAH. Lol, no other firm has these poor growth initiatives coupled with pay cuts. Imagine if the market turns bearish? I’m sure 90% of the brokers will hit there goals. Remember Andy Sieg fired his brother who went independent. What? His brother went from Merrill to independent route? We’re better when we’re connected. Merrill advisors are going to react negatively to this news, and understandably so. Trying to spin a likely cut in compensation into something positive is like trying to convince a lover that “it isn’t you, it’s me” when breaking off a relationship. No one believes the lame excuse. That said, Merrill management does not deserve as much blame here as does their corporate overlord, the Bank of America. If the latter had its way (and many believe it is already well on its way to that end) the B of A would already have every Merrill Lynch advisor on a modest base salary along with small production bonuses, as its burgeoning legion of Merrill Edge FAs must accept. Ron you love to get people upset you know your a scavenger .. can you go away ..
shaking in his boots, I’m sure. “I’m gonna write a letter Wells”… I’m sure someone really important will get that letter and will go out of there way to do something to a recruiter commenting on another firm entirely. You go away! “We’re not going to steer you in any direction” says Andy. Purely a coincidence, then, that the only products excluded from this 3% paycut are the banking products they’re pushing. To summarize: We’re not cutting your grid. We’re just going to pay you less. Unless you sell banking products. We will let you keep 100% of those 3 bps. And, if you’re a good soldier and have your clients enrolled with 4+ services, we’ll increase the negligible amount we’re currently paying you on BAC accts by 10 bps! All of this, of course, is in our clients’ best interest and in-line with our responsible growth initiative. Even Ray Charles can see the writing on the wall. Thundering herd now nothing more than glorified credit card salesmen. SAD! People are walking away from millions in loans and deferred comp just to get away from this nonsense. That trend will only grow. Just wait and see what decisions are made in the next recession. Save your money and be prepared. It’s nice to always have a choice. A slave to debt has no options. Does MER make these changes if UBS and MS are part of protocol? Wells is in the crapper (sorry Ron) . Indy is the only option and most F/A’s are not going to take that chance. I’m at ML. Started here. Under 40, 2M business. I’m just over this stuff. Death by a thousand pokes. Nearly ready for a check. Well then I’m not going to be shy about my position… 160% – 200% upfront, 350% total… Or you can start your own shop and make hay until it’s time to sell. I have all the answers! Casey Knight ESP Financial Search. I don’t recruit for wire-houses. We left ML to create and RIA 5 years ago after death by a thousand paper cuts. Best move we ever made. My perception is that it has gotten progressively worse. ML locked many advisors under contract through there sunset programs. Many teams inherited their books and can’t leave for a long period of time. They hate ML, but those contracts are airtight. ML knows this and feel they can do squeeze the advisors with minimal damage. So far it has worked. There are alternatives besides the independent who will pay meaningful checks without the politics. > Reply to Finally Done!!! Andy Sieg states that the reason for the reduction in Comp was due to the fact that revenue has grown by 2% annually over the last five years but FA comp has grown by 4%. Is that a bad thing? I wonder what senior management comp has grown by over the same period. Guess we will just have to review the BofA annual reports to find out. After telling all the FAs to “team” with a junior for the last 10 years, they add a growth grid that requires each “team” member to bring in new accounts and new assets. I have two planners on my team, one of which is a math geek who can barely have a conversation with himself. I guess I’ll have to send him to Dale Carnegie for some training. The Team Grid is almost impossible to hit now. The four categories are fee-based assets, bank products, trust, and lending. This 3-out-of-4 metric is from the old Client Experience Award, which management stopped discussing two years ago because so few teams could hit it (as in 1-2 teams per office of 50). Especially unachievable if you don’t have a Bank of America branch and ATM footprint in your area. The junior members on a team already took a 1% grid pay cut last year (they moved the 1% from the cash grid to the long-term grid, but not everyone gets the long-term grid). The article neglects to mention that the Service Award was given every year, now you receive it only when you hit an anniversary of 5 years (15, 20, 25, etc.). Someone asked on management on how to make up for the 3% hit. The response was you can get 2% of it back with the Growth Grid. The other 1%? Just bring in $150mm in assets. Glad they gave us a way to get back to even. Left Merrill in October for Raymond James independent after 17 years at ML. This is par for the course for last few years. Dump on FA’s and bet that they’ll continue to take the abuse!! they’re very proud that I had the guts to go independent rather stay at a firm that doesn’t value advisors anymore and buries them in a mountain of red tape to get anything done! Good luck with the selling the signature rewards card to all your clients this year I hear the points are great. Sarcastic commentary from someone that use’s the alias “Loser”, may be the best part of this thread. At RJ now after WB/ WFC. We get these emails likely every frickin day welcoming new brokers to the RJ family. It’s like a bell thy doesn’t stop ringing. If you can’t go indy, consider it. The check is not as big, but the management is good. We don’t have 1/10th the drama. What’s the over / under on when they go to salary bonus program? The elder statesmen are pissed but within a few years will be “Assimilated”, brainwashed and instructed to hand their hard earned books to the junior FAs, who will be happy to make $100k plus a stipen bonus. Want to do any original work and have your own models? Fuggetaboutit! Robots will comply…Resistance IS FUTILE! As said above, even Ray Charles can see this clearly. Did you go RJ indie or employee channel? Every article in the past twelve months qoutes a BofA spokesperson espousing revenue at all time high, production at all time high, retention at all time high, head count at all time high. Things are going so great everyone is getting a pay cut. 70% of Merrill FAs are not doing the 1.6 mil to lessen the pay cut. It doesn’t even occur to BofA to tell the truth. They truly have a culture of dishonesty. The bean counting bankers have taken over! I think they have underestimated the amount of ill will they’ve created with this last round of pay cuts. Merrill is slowly being gutted by the bank and Andy Seig is their water boy. Someday they’ll have to go to the salesforce for an ask and guess what, it won’t be forthcoming. Karma will have her way eventually. Cheers, from a loyal Merrill FA. It will never be easier to leave ML while still in protocol. I bet they are out with 3 days notice within a year. Go way you a recruiter! It will be interesting to see how much longer tenured financial advisors at Merrill Lynch will stick around. My guess is that the attrition rates at Merrill will increase to surpass those of Wells Fargo advisors. Why stick around with a bank that has clearly stated financially advisers make too much money for their advice. Merrill has shown its hole cards. They are officially in a game of chicken with their own thundering herd. The belief by Home Office that too many FA’s are overpaid (i.e. they just sat around and waited to inherit a book from a retiring broker) “stewards” of a book of business they didn’t build is impossible to ignore. step 2: commoditize the investment process by taking the “PM” role away from advisors, and ship it off to central office. convert advisors (by force) into product selling machines. IMO it looks like Merrill’s at the point where they have tried to make it as miserable as possible there, just to see which advisors stay because they know those advisors probably don’t have the stomach to ever leave. Hard to feel sorry for the advisors who continue to stay. Death by 1000 cuts is in full effect. Agree with Scavenger, Ron must go. Headhunters have their agendas and should not be part of the thread. BTW, thought Ron was annoying, this guy Casey is a close second. Can we say good knight to Casey please! Wrong. We think it’s just as ridiculous as you do that for no clear apparent reason, you were subject to a pay cut. We also have a greater understanding of what other firms can offer that might be a better fit for you and your clients. I personally have perspective that took ten years to gain with the sole purpose of not just shoving one firm down your throat, but instead being able to offer a consultative approach that streamlines making a move. BTW… It’s you’re, not your. Ten years is nothing I socks older than your tenure …all of us have know the environment..you guys push people into make bad decisions because that’s how you get paid ..when all you have is a hammer everything looks like a nail ..it’s not any Greener on the other side ..Merrill is still the best platform on the street and that’s not even a question ..and yes they cut out pay but even with the pay cut Merrill advisors are the best paid sales force In the country ..hands down ..Merrill has had over 100,000 people into millioniers ..and if that mean we take a small pay cut so be it ..
Loser, how does MER have the best platform on the street and best paid sales force? MS has more advisory AUM than ML, and MS has 3X AUM in the alternative space, for example. Also, if production per fa is greater at other firms, and the ML payout is less, how is the ML FA the best paid? The people that i know at ML, good producers, complain about the BofA oversight and morale. You must be in management to be slinging that BS. I was in the Quarter Century club at ML before finally getting fed up with their DOL response and other BS and leaving last year. It’s been a great move, I’m MUCH happier, clients are happy to get away from BofA nonsense. I moved to an existing office of other independent advisors so I didn’t have to hire an assistant, buy a copier and phone system and all that other office management stuff. Last month I calculated my net, net , net after B/D clearing costs, office rent & compliance oversight and technology costs(planning software,CRM, research, etc.) leaves me with an 84% payout all in. Yeah, I hung around at ML too long because I didn’t know how many clients would follow but that wasn’t a problem. The client’s relationship was with me not Merrill. BofA mgmt wants you out of the value chain, so give them what they want and hit the door. Ask yourself: IS IT GOING TO GET BETTER OR WORSE IN THE FUTURE?, you know the answer. Time to take the leap, you’ll be much happier. I left ML 2 years ago, couldn’t be happier, and feel pity for the poor schmoes that stick around for the beatings. After all, we know they will just keep coming and coming. Talented people will leave. Those that remain behind, well, they are grifters with no morals. How dare you make that statement ..some of us realize that we have to pay to have a better platform ..and we a resliant and enlightened enough to see the enter vision .all this does is force me to grow ..and we have the best platform ..
You don’t have the best platform—not even close. Managers being kicked off every day, crummy money market rates, no flexibility in fees charged, compliance all over anything entrepreneurial. The technology ML has is literally everywhere. The platform has NO advantages on any other. Look around and you will realize that. For most ML FAs, this will be the biggest cut in compensation in their career, until the next one. Wonder what the CAGR for the MEs are? Loser, Scavenger and Former WFC Guy have it right, get the the headhunters off this board. If they were truly “executive recruiters” acting in someones best interest they wouldn’t have to advertise their services on this message board. These guys are ambulance chasers and love when firms make a radical change so they can collect a fee. Let’s face it, when Headhunter Ron claimed “Wells is back” i t was the beginning of the end for WFC and his reputation took a nosedive.If you want F/A’s respect, get off this board. Old Irish saying, “when you are in a ditch, stop digging”. PS- Casey Good Night- don’t correct grammar. F/A’s are not paid to write and it makes you look like a wise a$$. If any one else has had a local manager teach you how to beat the program please post .. Went indy after 32 wirehouse years in May 2017. I still find the gall of the big 4 incredulous. Total freedom=total control=total lifestyle change. Should have gone 25 years ago! Those that find this latest compensation “adjustment” surprising, either have their head in the sand or do not fully grasp the direction of this once proud firm. Having started my career at ML and building an amazing book of wonderful families over the following 17 years (the old fashion way, brick-by-brick), it broke my heart to leave all I had known last year and join an independent firm. And while the process of moving my practice was tantamount to Andy Dufresne crawling through a 1/4 mile of feces to freedom, the symbolism in Shawshank rings true and it was undoubtedly the best decision for me, my family, and those client families I am so proud to serve. To my former colleagues, I wish you nothing but the best, with any incredibly gut wrenching decision of whether to stay or to go. I leave you with this thought, there is life beyond the ML walls, your clients trust you, not the bank, and there are firms out there and actually and truly care about you. Go find them, because this train has been heading down the wrong track for some time and doing so with ever increasing speed. So well said and so true. You owe it to yourselves and to your clients to to find a better and more client friendly and advisor friendly home. They are out there!! Wonderful independent choices and also wonderful regional options. So many firms out there that focus just on our business. Massive bank conglomerates don’t and find higher margins in lending, trust, Edge, etc. I left ML too and it was by far the best decision I ever made. BAC is one of the most hated brands in the world and clients know it. Visit other firms and see what’s out there—it’s worth it! You will also get paid to leave a place that is causing so much stress. Few careers offer that. These changes to compensation were clearly designed to improve morale, increase FA rentention and energize an already robust recruiting program. Brilliant!!! It’s no wonder that Andy and the powers at BAC are getting raises while the FA’s are getting pay cuts. Also Management wants FAs to pay for holiday party. 3 percent haircut and you need to pay for holiday party. Merry Christmas. The worst day I ever had working for myself was better than the best day I ever had working for the man. That’s the truth too. Who else is doing this? Just curious, as it seemed like a ridiculous idea. The trend has been set. Merrill will continue to ask for more from its flock of sheep or slaughter them with a thousand cuts. As a millennial advisor and 10 years at the firm, this is no longer the place I want to run my practice. In 2019 I’m more worried about clients logging onto their app every 90 days to count for digital engagement for team grid and selling checking accounts with direct deposit than I am working with my existing clients on true planning needs and finding more families/businesses to work with. Sadly I doubt this new compensation plan will frighten the flock of sheep to start running but rather most advisors will throw the towel in and accept lower pay and adjust the time spent on their practice. The average age of an advisor at Merrill is late 50’s. Most are talking about working less and doing less, if comp is going to be less. Great way to back everyone at ML onto teams for “team grid”, when all it was really was another handcuff to make it harder to jump. To often it’s bait and switch at ML (or as I should say -BofA). Next they’ll be charging us a haircut to use CIO ETF models after pushing hard to get advisors to use these models! I see no interest in another wirehouse, independence seems like the logic move and future of this industry. The big corporations have lost touch with reality – work harder, bring in more and we’ll give you even less than last year. I know I won’t be ending my career at ML. They are already charging us 10bps to use CIO bond ladders. Get use to it, if it isn’t getting better in a bull market, imagine a recession? Outright theft of your production should cause a nuclear outrage, I’m not hearing it. Is anyone tired of all these games. I understand a simple bonus for acquisition but all this Lemming like BoA widget chasing is getting out of hand. If I didn’t have a 5 year multi million dollar CTP contract I would have walked out the door that afternoon and till this year, I’ve bled blue. Now I just bleed. It’s absolute garbage that other firms are doing this. We’re the only ones letting them steal from us. Btw this whole clients should log in to their accounts every 90 days or you don’t get team grid. It’s not healthy for clients to constantly login to their accounts for a bunch of reasons. What happened to the interest of our clients must come first. Charles Merrill is rolling in his grave. Shame on you Andy. Actually shame on us for letting them do this. U hit it on the nose, other firms r not doing this. Why? Because Merrill can get away with this. They know exactly how many teams r under CTP. Exactly the number of people under contract. Yet they have not recruited anyone, but still under protocol. THEy want u to leave, they r leaving the door wide open. They know most can’t oe won’t.